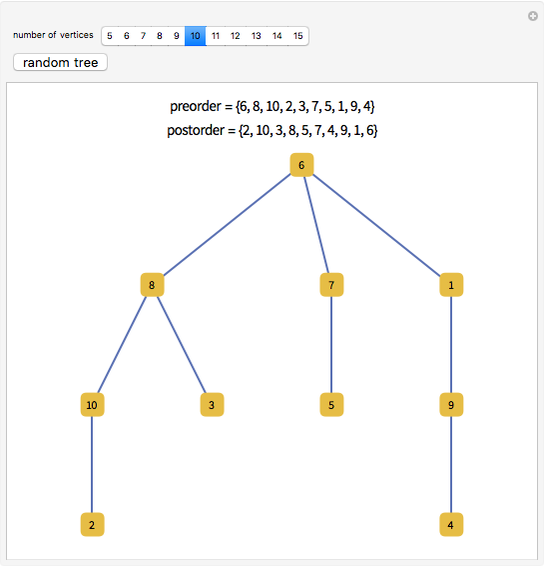 2. visit in preorder the subtrees of the root of from left to right. 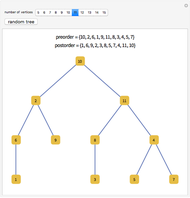 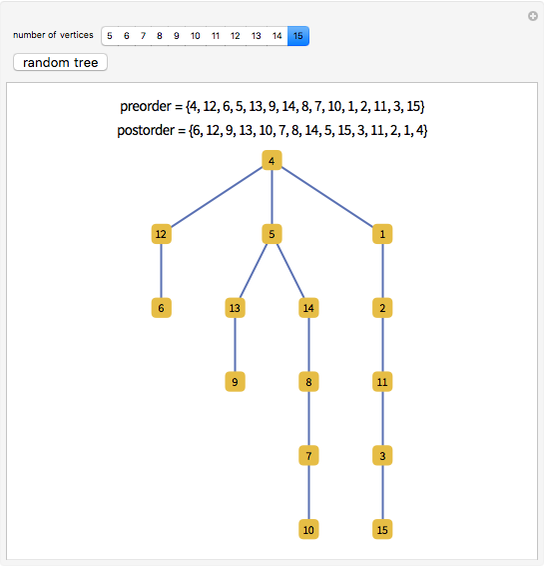 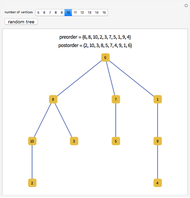 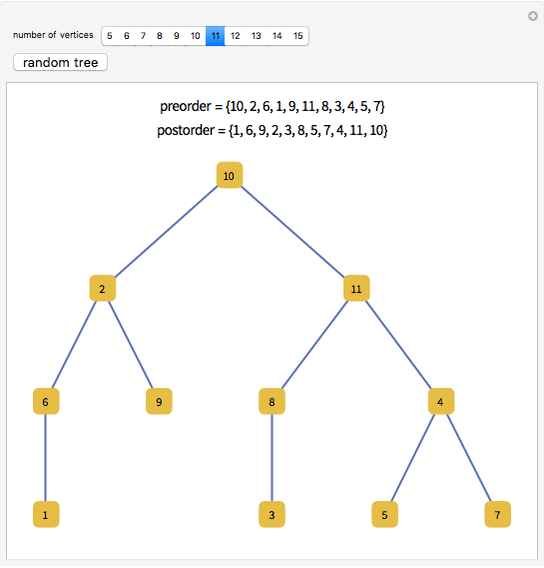 This Demonstration shows the preorder and postorder traversals corresponding to a randomly labeled rooted tree with a chosen number of vertices. 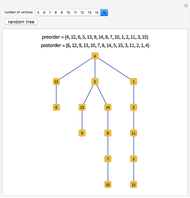 Jaime Rangel-Mondragon "Preorder and Postorder Traversal of Rooted Trees"